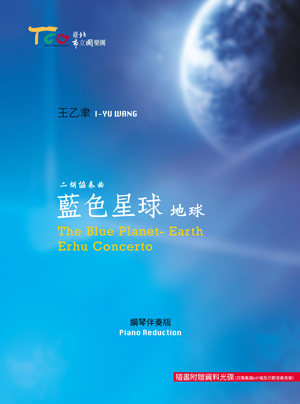 This erho concerto is commissioned by the Taipei Chinese Orchestra for the final round of the 2011 Taipei Chinese Instrumental Competition for Erhu. Thinking outside the box, Wang breaks through traditional musical languages, expressing three themes—Space, Springs of Life, the Blue Planet—with high difficult performing techniques, and dedicates this work to his beloved son. 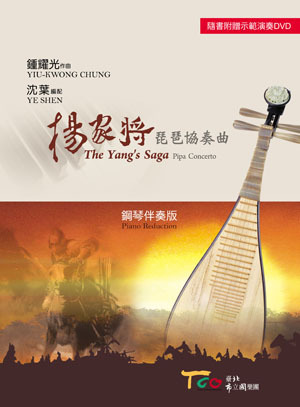 Composer Yiu-Kwong Chung integrates the most advanced computer-aided spectral analysis technique with traditional Chinese musical language, vividly portraying the historical story of The Yang's Saga. It is originally for pipa solo and Chinese orchestra, and later arranged for pipa and piano by Shen Ye for the final round of the 2012 Taipei Chinese Instrumental Competition for Pipa. This work was composed in the summer of 2003 in Taipei and the world premiered by the world renowned pipa player Wu Man. The duration of the piece is about twenty minutes, and it has three movements. The whole piece depicts a famous story during the Northern Song Dynasty, as the Khitan Liao are attacking China from the north and Generals from the Yang Family (The Yang Warriors) provide their faithful service to the Northern Song Dynasty. The first section of the first movement portrays how the main character Yang Ye, who with his sons served the Song Dynasty by fighting the Khitan. He was betrayed by the court official Pan Mei. One of Yang Ye’s sons was killed and Yang Ye was captured by the Khitans. Yang Ye starved himself to death to preserve his honor. The second section of the first movement describes how the Yang Clan led the army of Song Dynasty and conquered seventy-two Tianmen Array. The third movement is an illustration of the winning of the battle - the atmosphere is celebratory and full of blissfulness and exhilaration. 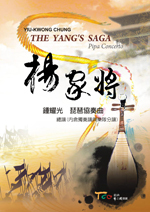 The composer got his inspiration from pipa classic Dragon Boat. He uses pipa to imitate the sound of different kinds of percussion instruments to add onto the festive color. From the point of view of harmony and orchestration, the first movement is a new path discovered by the composer by integrating the most advanced computer-aided spectral analysis technique with traditional Chinese musical language. Composed by Yang Liqing with piano accompaniment written by Mr. Shen Ye,this work was a designated piece for the final round of the 2008 Taipei chime Instrumental Music Competition for Erhu held by the TCO. Composed by Yiu-Kwong Chung,this work was a designated piece for the final round of the 2008Taipei Chinese Instrumental Competition for Erhu. The work was premiered at the National Concert Hall in Taipei on June 27th, 2007 with its composer Li Ying as the conductor leading the Taipei Chinese Orchestra (TCO). The brand new work is composed by the Taipei Chinese Orchestra’s General Director Yiu-Kwong Chung for flute and Chinese orchestra, and memiered my flutist Sharon Bezaly. This book collects the solo pieces for plucked string instruments, such as the pipa, the sanxian, the liuqin, the guzheng, etc., written by Taiwanese Composers.